I have previously reviewed Chad Zunker’s first Sam Callahan novel, The Tracker. I gave the book high marks for storytelling and values, but thought the writing weak. 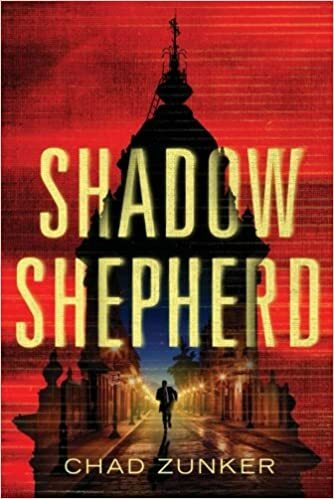 The second book in the series, Shadow Shepherd, is pretty much the same. Sam Callahan has now finished law school, and is working for a legal firm. His first big assignment is to interview a potential client in Mexico City. The client insists that he will deal only with Sam, so Sam takes a trip south of the border. Unfortunately, while he’s interviewing his client in his hotel room, an assassin breaks in and murders the man. Sam barely makes it out alive. What’s worse, the police don’t believe his story. So Sam finds himself on the run in a foreign city, without his passport. But that’s just the beginning. Soon he gets word that his girlfriend has been kidnapped. The kidnappers demand that he meet them in New Orleans in a matter of hours, or she will die. Fortunately, Sam has the skills and resources to meet those challenges, and to elude the world-class assassin who is stalking him. I give author Zunker full marks for exciting storytelling. The action in Shadow Shepherd never lets up, even if it sometimes challenges credibility (and I have to say I thought the final resolution kind of hackneyed). But the writing is still pedestrian and clichéd – Zunker twice uses the redundancy “hollow hole,” for instance. Still, I applaud the enterprise overall. The Sam Callahan books are written from a Christian point of view, without preaching. They are conceptually exactly the kind of Christian fiction many of us have been calling for, for years. The entertainment value is high. I just wish the author would take a composition class.